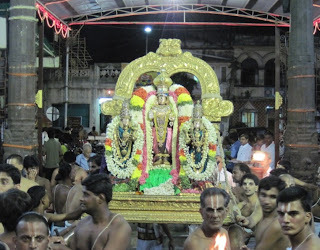 Kairavini karaiyinile - திரு அல்லிக்கேணி குளக்கரையோரம்: Sri Manavala Mamunigal Uthsavam @ Thiruvallikkeni Divyadesam - 2011. 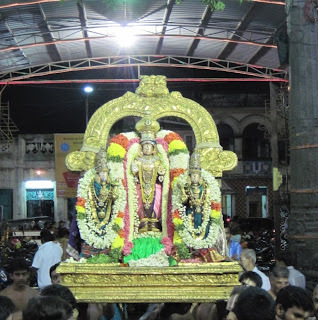 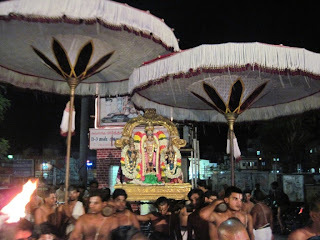 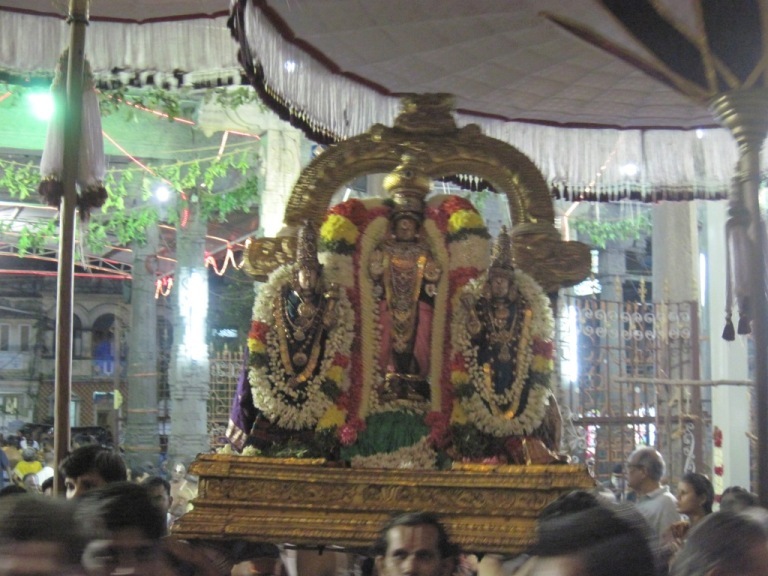 Sri Manavala Mamunigal Uthsavam @ Thiruvallikkeni Divyadesam - 2011. 31st October 2011 (14th day in the tamil month of Aippasi) would be a great day for all Thennacharya Sri Vaishnavaites – for this day marks the birth anniversary of Acharyar Sri Manavala Mamunigal. 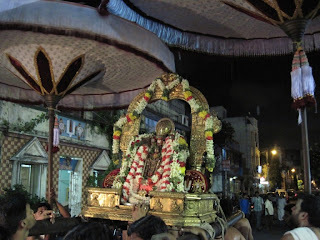 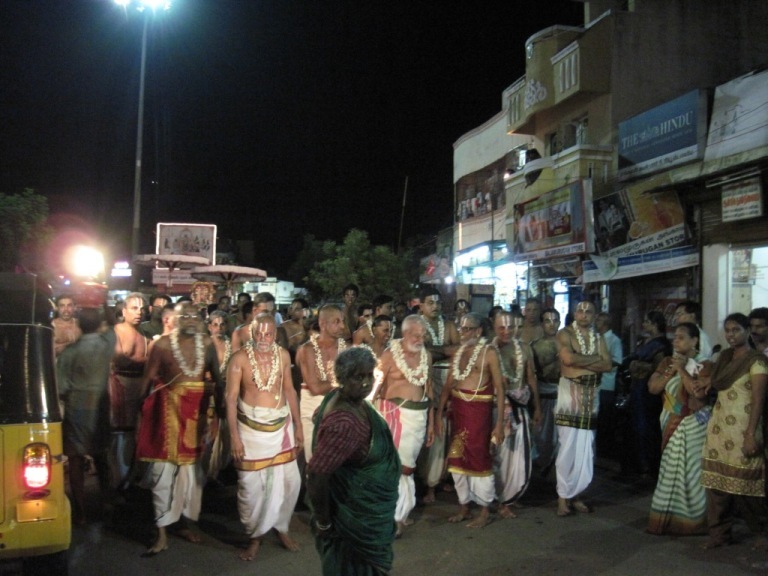 The 10 day long Uthsavam of the Acharyar started today (22nd Oct 2011) at Thiruvallikkeni (so also in other Divyadesams). On the 5th day of Uthsavam falls Deepavali, this year and there would be a very grand purappadu of Swami Manavala Mamunigal with Lord Parthasarathi on that day. 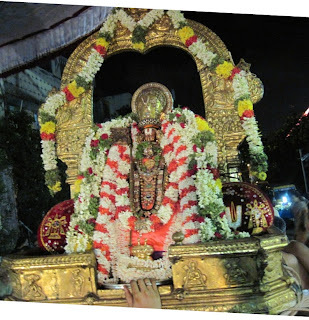 On 27th Oct 2011 – the 6th day is Annakooda Uthasavam. 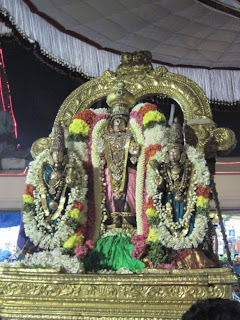 31st Oct 2011 is the 10th day – the Satrumurai. The first day of the Uthsavam happened to be the “5th Sanikizhamai of Purattasi”. In the evening at around 0700 pm there was purappadu of Sri Manavala Maamunigal with Lord Azhagiyasingar. Here are some photos taken during the purappadu.